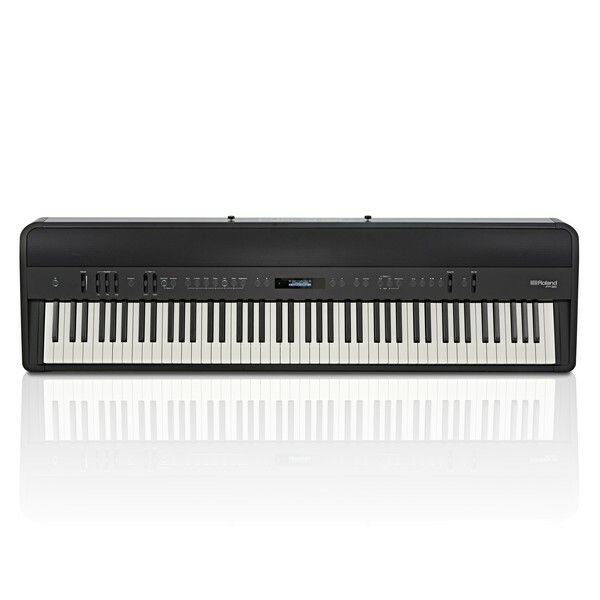 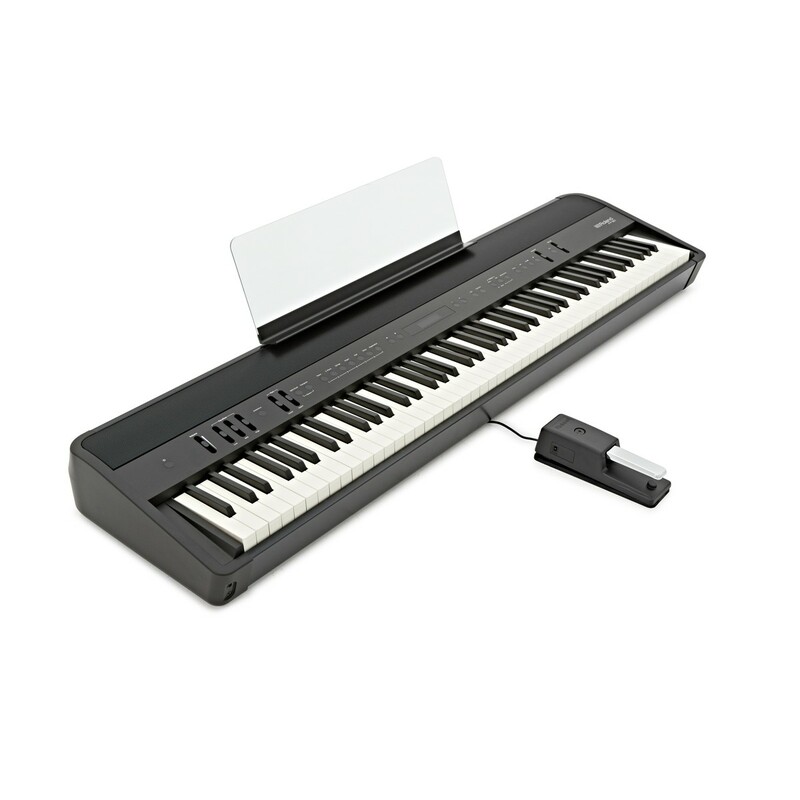 The Roland FP 90 Digital Piano in black offers a no-compromise performance for the advanced musician. 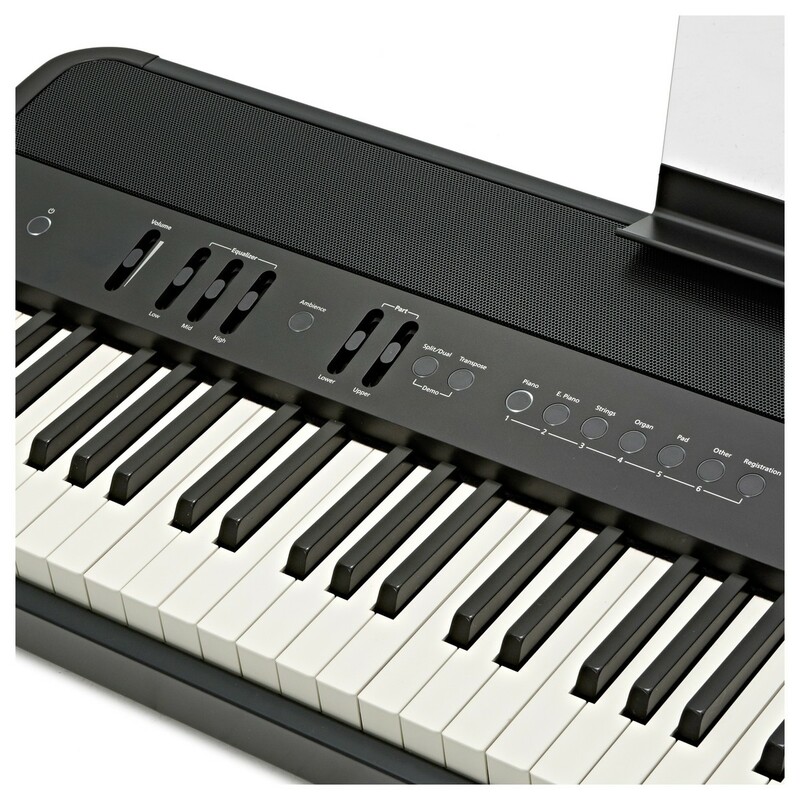 The SuperNATURAL sound engine produces a range of rich, complex tones with an organic response similar to an acoustic piano. The FP 90 benefits from Roland's PHA-50 hammer action keyboard for a weighted feel with key sensors picking up the most subtle nuances in your playing style. 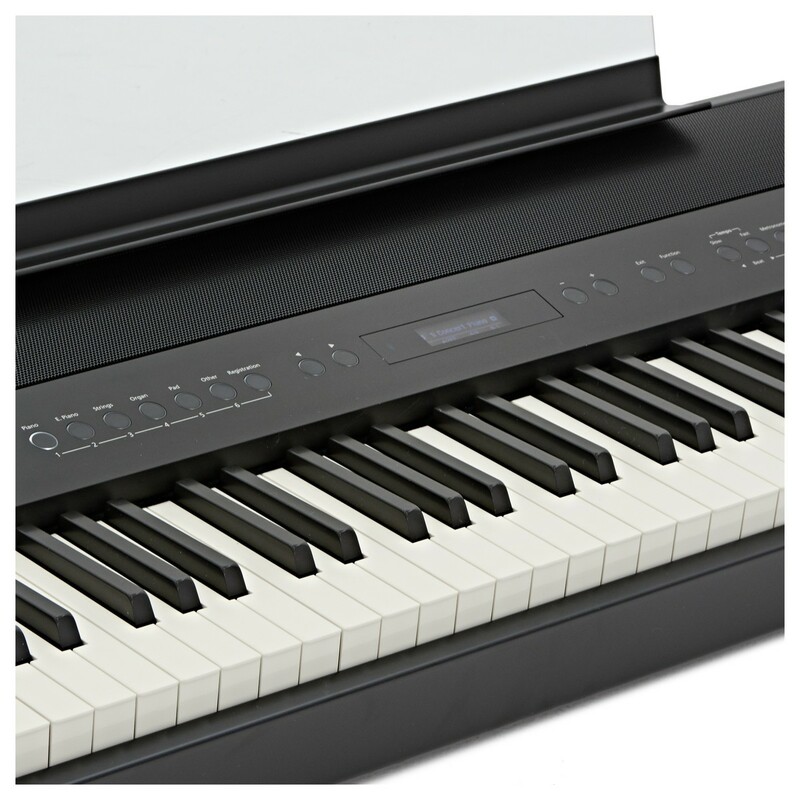 The diverse range of piano sounds include concert grands and uprights, as well as a range of organs and synths to suit adventurous musicians. 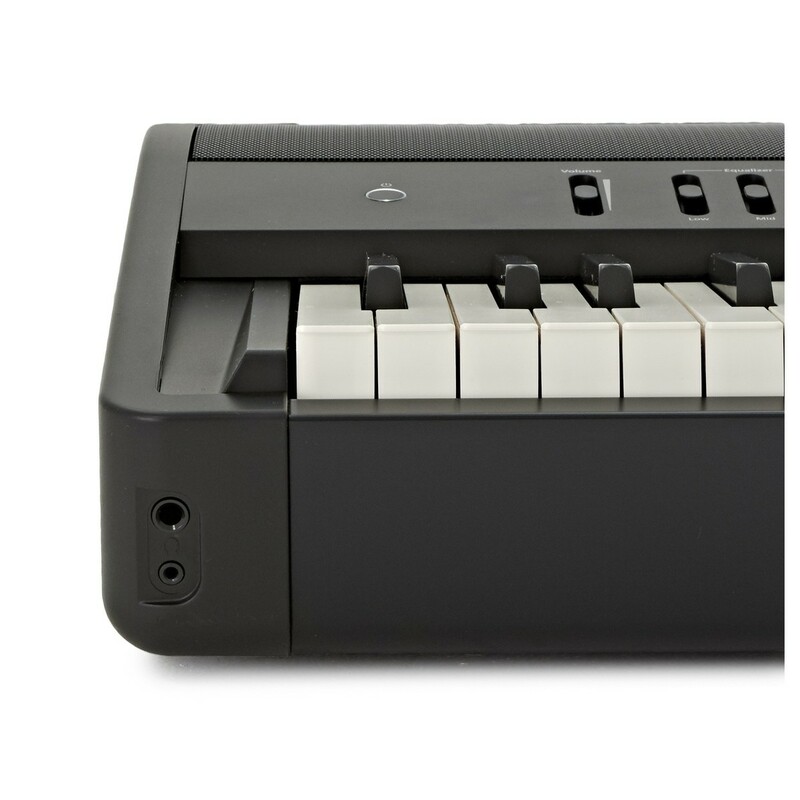 The FP 90 packs high quality, detailed features into a sleek looking, portable design. 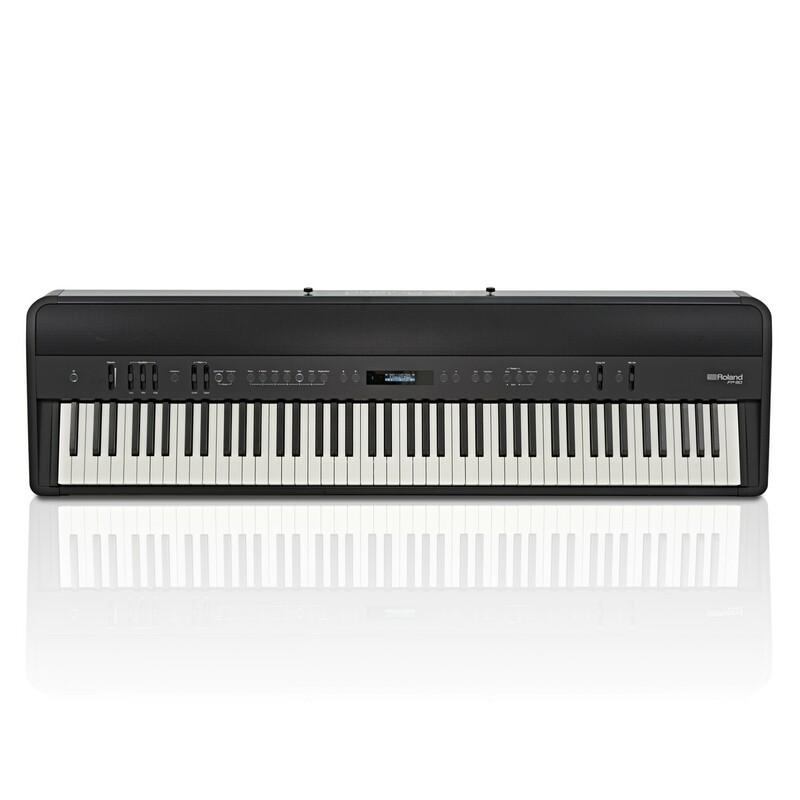 Whether it’s in the home, studio or venue, the FP 90 remains easy to use. 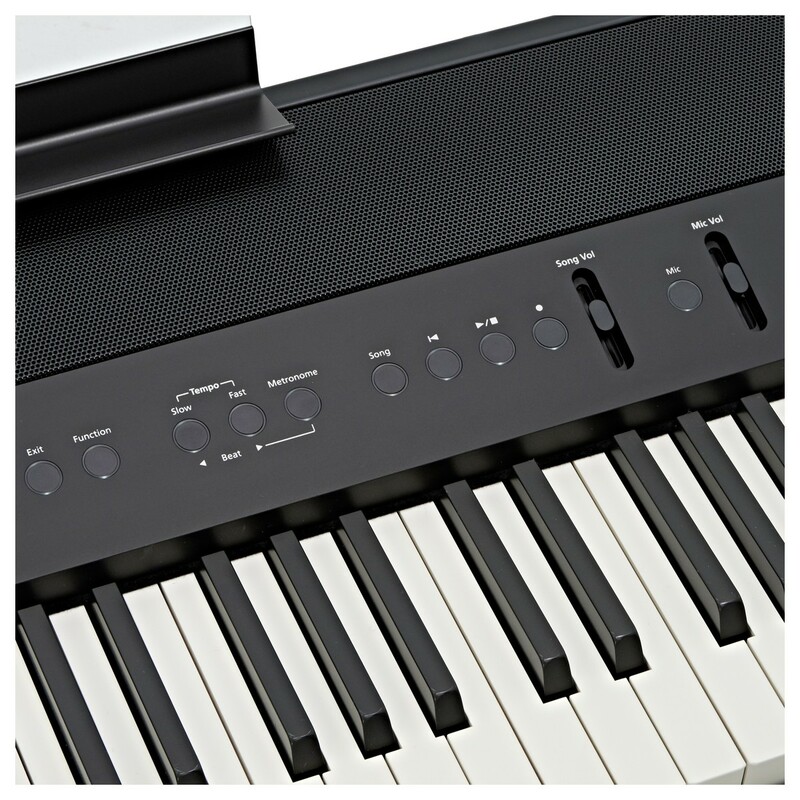 The touch sensitive controls mean there are no knobs that could be broken in transit for long lasting reliability. 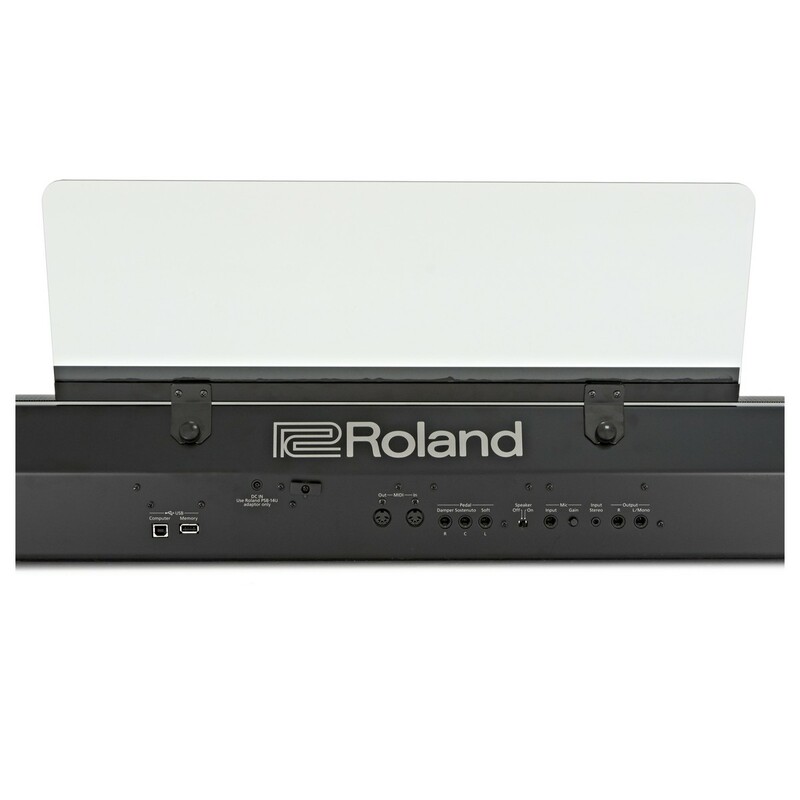 The backlit control outlines keep everything easy to read in low light venues. 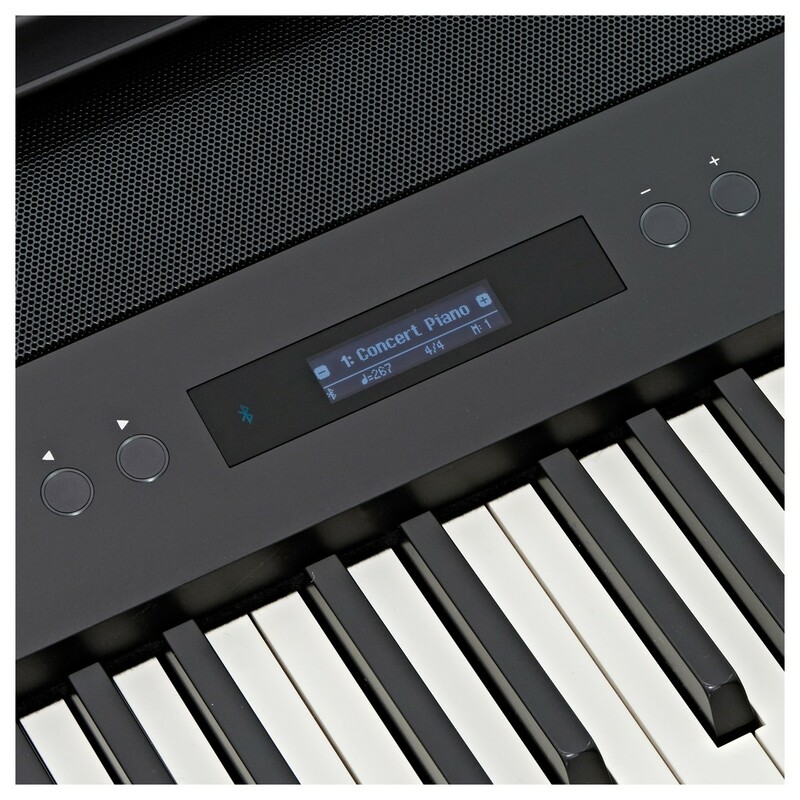 The FP 90's subtle LCD screen is a suitable hub for navigating through the extensive features. 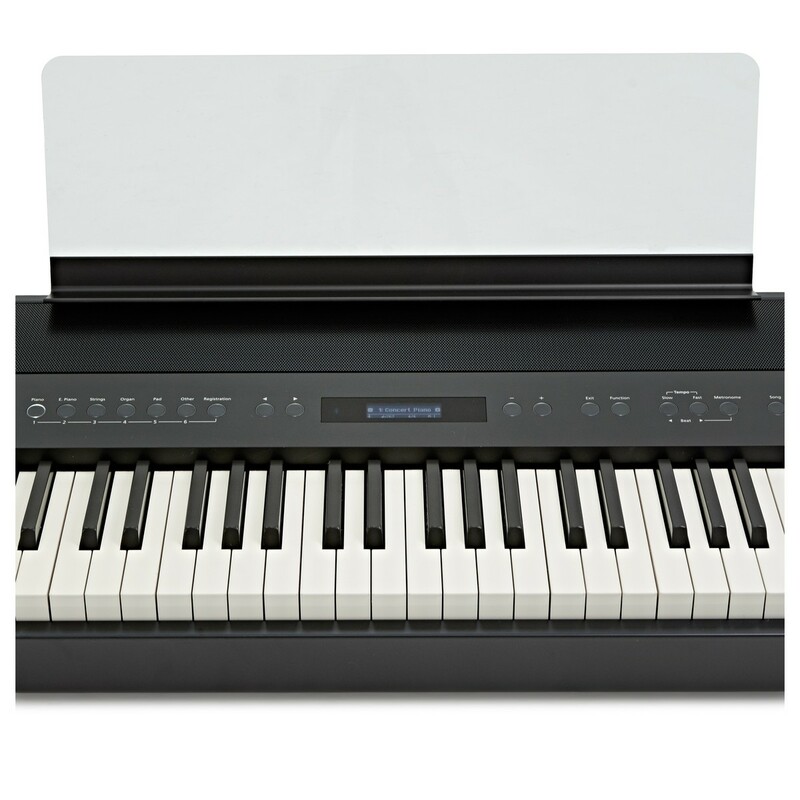 This model's sleek black design gives a smart look for any setting.